I purchased this palette a while ago and I have been using it non stop recently! 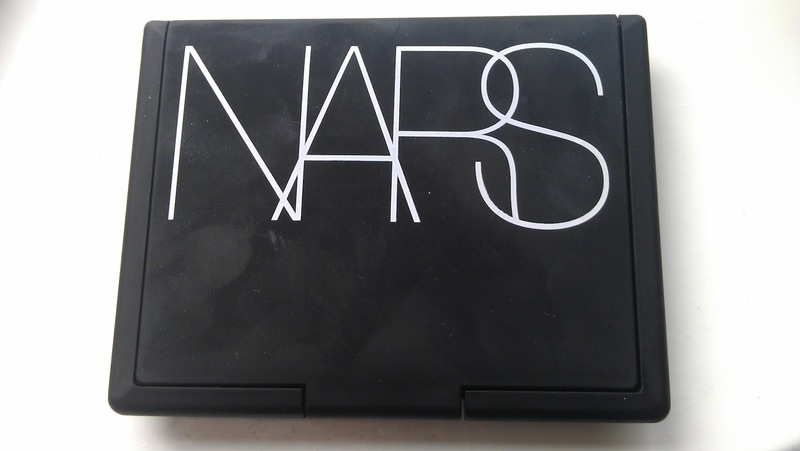 This palette is supposed to be limited edition but it has been available to buy on the Nars cosmetics UK website for months. Now on with the photographs and review! 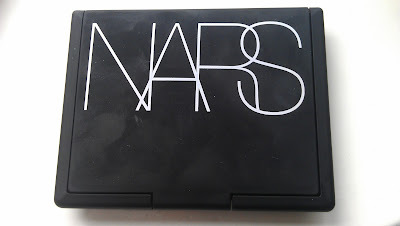 The only problem I have with the Nars packaging is that the cases can get very dirty, very quickly! The packaging soon gathers dust, eye shadows and finger prints which makes the cases look very used and dirty. The case contains a large mirror which I do not really use but I think it would come in handy when I take this palette on holiday with me this august. The case also comes with a plastic slip which protects the eye shadows. 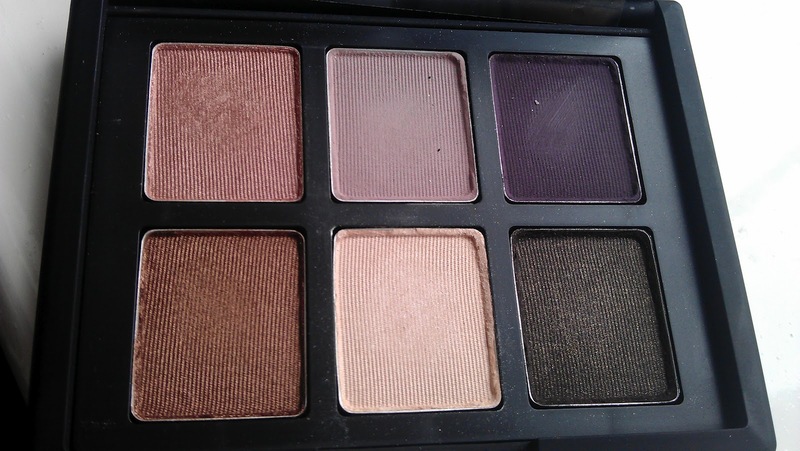 I have been using this palette for a good few months now and I love the texture of these eye shadows, they feel so smooth, soft and almost creamy when applied and blended. The shades are also great, they are mostly neutral shades with the exception of the purple shades which for me are not really neutrals. The pigmentation of these Nars eye shadows is really great, all of the shades with the exception of the shade 'Violetta' and maybe 'Abyssinia' are incredibly pigmented. Nepal: this is one of my favorite shades as it is a gorgeous peachy pink shade with a pretty metallic sheen when applied. This shade is perfect for spring/summer and it looks so nice on the eyes. The texture of this shade is really nice, it applies like a dream and it is really easy to blend - with a brush or finger tip. I love to use this shade all over the eye lid and in the inner corner. Violetta: this shade is one that I was not that interested in when I purchased this palette but it is actually really nice. This shade looks really purple/lilac in the palette but on my pale skin tone this shade look very grey with purple undertones, which for me makes this shade a lot more wearable. I use this shade paired with Abyssinia as it can look a little bit dull on its own. Demon Lover: a deep vibrant purple shade that again I was not that interested in and the only way I use this shade is as a eye liner - to line the upper lash line. This shade makes a welcome change from my black eye liners and it still has the same impact as it is darker as a liner than it is when it is blended out across the eye lid. Fez: again one of my favorite shades, along with Nepal and Abyssinia, and it is a gorgeous golden brown with golden shimmer. This shade on my pale skin tone looks like a golden bronze which looks so pretty on the lids. I use this shade all over the lid or just in the outer corner and it applies/blends beautifully. Abyssinia: this is a pretty creamy highlight shade and it does work really well as a inner corner, brow bone and cheek bone highlight, in my opinion. This shade is not as pigmented as some of the others but this is a positive point for me as I want a subtle highlight - I personally do not like the 70's disco ball look! Cordura: this is a deep brown with golden shimmer and I only use this in the outer corner or as a liner as it is really quite dark. 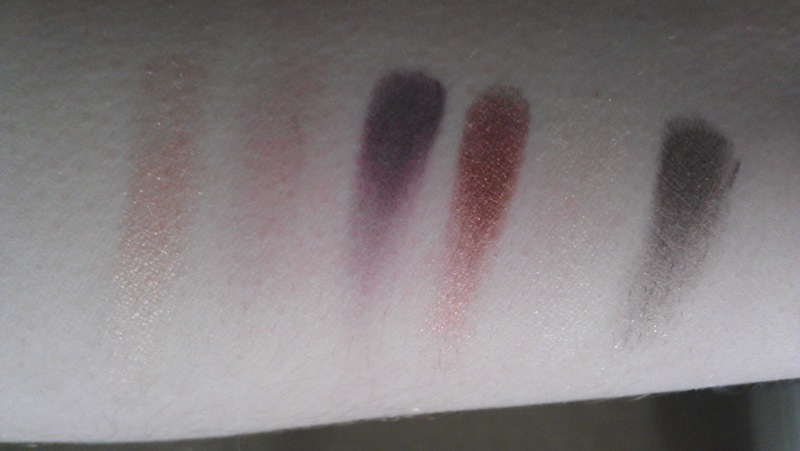 This shade is not as easy to blend as the others but it is a great shadow overall - and it is incredibly pigmented! In terms of longevity and creasing these eye shadows do crease within an hour of wearing them - without a primer but with my MAC paint pot in the shade 'painterly' underneath as a base these shadows last for about five hours without creasing at all. These eye shadows do not have the best longevity but they are fantastic overall, in my opinion.